Hot off a recent St. Patrick’s week tour in the New York area where she played two sold-out shows, as well as at the United Nations and for the Lord Mayor of New York’s breakfast (!) 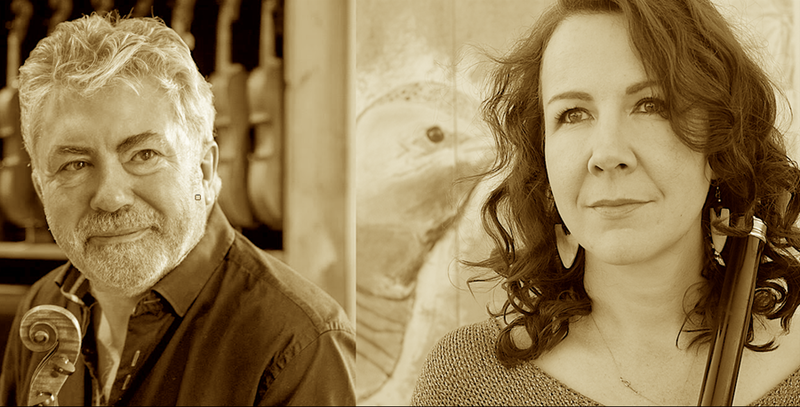 Nuala is off down under to perform alongside Eamon O’Leary and Gerry O’Conner at The National Folk Festival of Australia! See Tour Page for more details. Snowflake Trio release LIVE album! 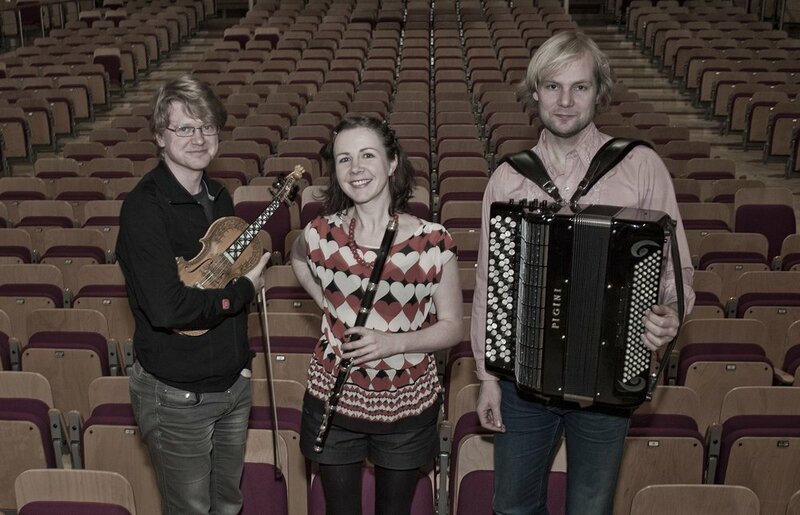 Snowflake Trio features Nuala alongside Norwegian hardanger virtuoso Vegar Vårdal and the genre busting accordion maestro Frode Haltli. Their debut live recording 'Sun Dogs' will be released on Norwegian record label ta:lik. Please visit www.snowflaketrio.com for more info! 'A Celtic Christmas' in SOUTHERN CALIFORNIA! 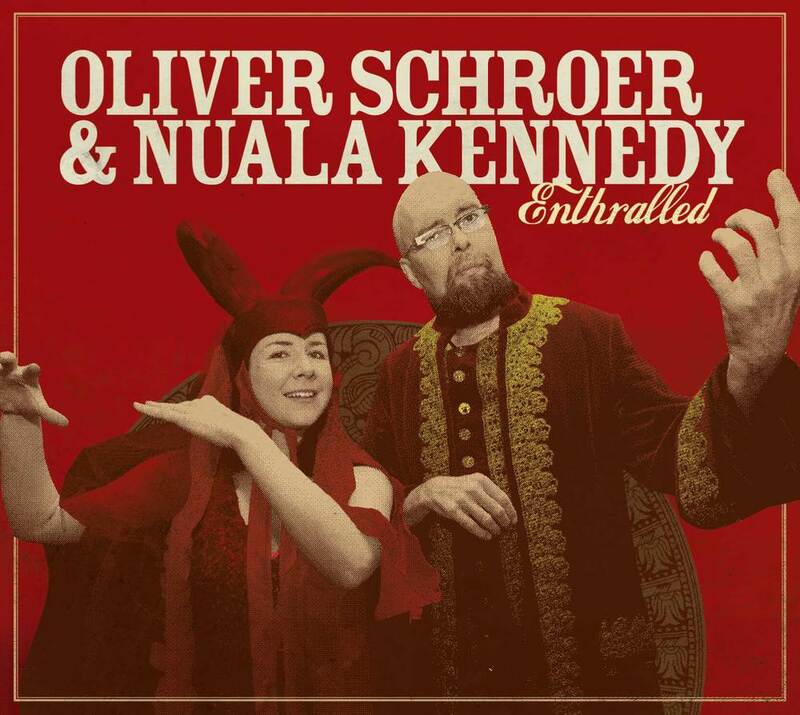 Nuala will perform as part of Eric Rigler and Dirk Freymuth's 'A Celtic Christmas'. 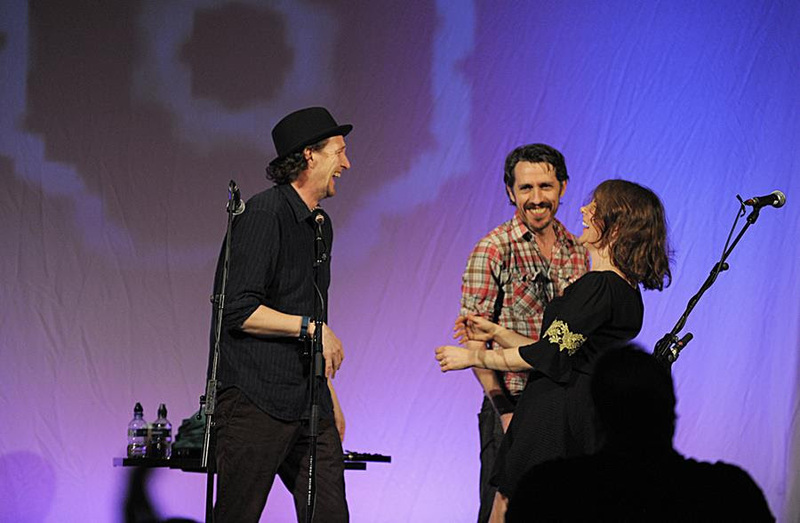 The show offers a mixture of traditional Celtic music, themes from Eric's motion picture & television soundtracks, and music from the Christmas tradition. Cast yer lugs around this true beauty from Nels Andrews! 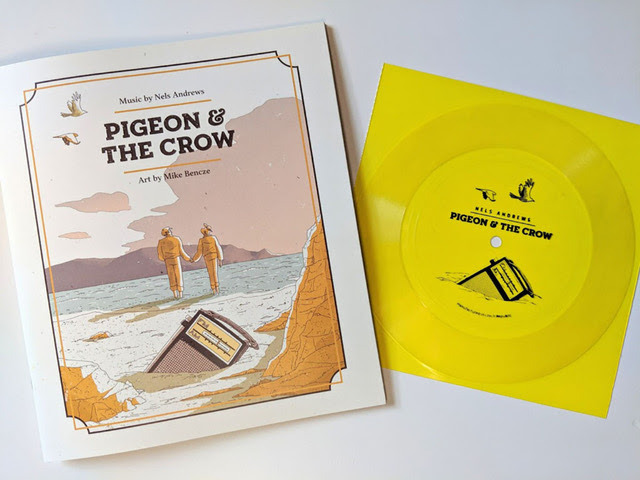 “A song set in the foggy central Californian coast depicted via graphic novella” you say? What a fabulously unique gift for anyone who appreciates good art and fine song. It's a truly delicious song, based on a true story, fondly produced by yours truly and crafted by two legendary songwriters: Nels Andrews, and my hubby A. J. Roach. 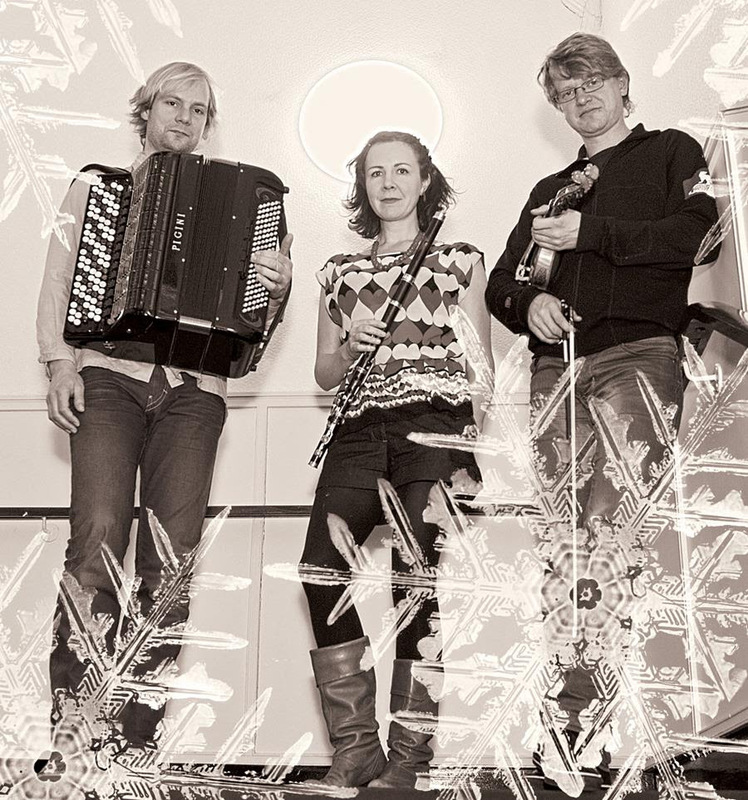 SNOWFLAKE TRIO – LIVE ALBUM RELEASE! I'm part of a team helping to organise a concert in Ennis on Friday - on the eve of FairPlé Day, an international day of positive musical activism promoting balance and inclusivity in all aspects of the traditional music business. There are lots of concerts and events happening around Ireland and abroad on the 8th and 9th of June. FairPlé is an advocacy group based in Ireland that was founded in February by a group of musicians whose mission is to achieve gender balance in the production, performance, promotion, and development of Irish traditional and folk music. It advocates for equal opportunity and balanced representation for all. You can read more about the organization on the website, www.fairple.com. The Ennis concert features an incredible line up of world class musicians, as you can see on this beautiful poster, designed by artist-fiddler “Beanie O”. Please come out and support the musicians wherever they may be! It's coming up soon! A truly great highlight of the teaching year – The Swannanoa Gathering Celtic Week. Tickets sell out fast and furious for this great week of teaching, learning and collaboration. Here is a little snippet of porch life during Celtic Week, 'Swannanoa' a beautiful song composed by Janis Ian. 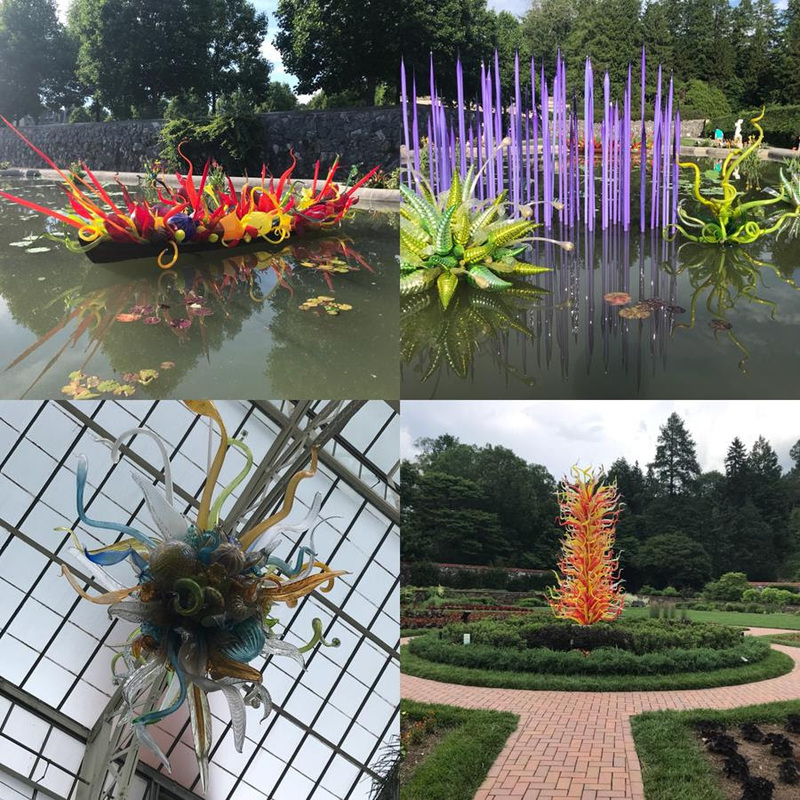 A note to finish on a recent visit to a glasswork installation by American artist Dale Chihuly- I loved seeing these giant alien-like beings lurking in, blooming in and dominating the neat and tidy gardens... Let's plant our musical and artistic seeds and watch those crazy creatures GROW!!!! Lá Fhéile Pádraig faoi mhaise daoibh! Happy St Patrick's Day to you all when it comes around on Saturday folks! 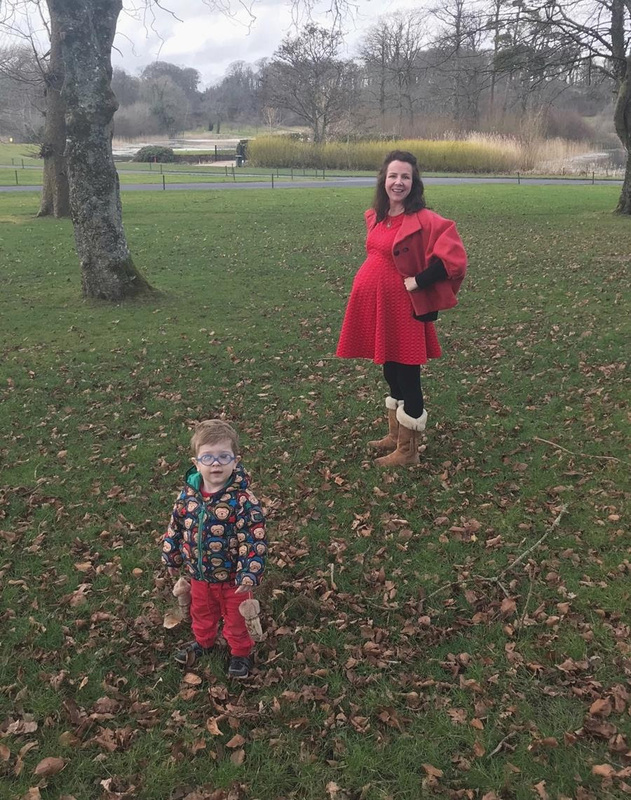 With a little bit of luck we will be busy welcoming our new baby to the household by then – a tiny new addition to the family is due to arrive on Friday, so please wish us luck! They say ignorance is bliss and with baby Lochlann (pictured here) I must admit I just didn't realise exactly how much pure luck is involved in birthing tiny humans... so this time around I'll say, yes please to rituals, prayers, crystals, candles, finger and toe crossing... whatever floats your own particular spiritual boat, please keep us in mind this Friday morning 15th March EST! www.thealtmusic.com for tour dates and more! According to the informative website www.mainlynorfolk.info, She Moved Through the Fair was first collected in Donegal by poet Padraic Colum (1881-1972) and musicologist Herbert Hughes (1882-1937), and published by Boosey & Hawkes in London in “Irish Country Songs” in 1909. The Irish tenor John McCormack recorded the song in 1941. He seemed to have introduced the change from “my young love” to “my dead love” in the last verse. Margaret Barry learned “She Moves Through the Fair”off a gramophone record by “Count John McCormack” as she said in a Karl Dallas interview. She sang it in on two separate recordings made by Peter Kennedy in Dundalk, County Louth, Ireland, in 1952! On the subject of the legendary singing of Margaret Barry, I will mention the Fair Plé Movement here, a newly formed organisation which addresses the gender imbalance in all areas of Irish traditional and Folk Music. For those of ye reading here without Irish, 'plé' means 'to discuss' but also it has a double meaning as 'Fairplay'. Women have historically been in a minority within the world of Irish traditional music and this continues to present times – it is not a rare occurrence for myself to find I am perhaps the only female touring musician on stage at a particular event or festival, and the Fair Plé movement, which is supported by men and women alike, wants to raise awareness and address that imbalance. Currently getting up and running, Fair Plé Ennis had our first event – a session supported by Ciaran's Bar on 3rd March – a wee blast of that is to be seen here! Gentle Folks, Time seeps through our fingers like sand on Venice Beach... June flew by with several special markers: my old pal Oliver Schroer (RIP)'s birthday, then Father's day came and went, I thought many times about writing this email and yet... somehow there was never a spare moment. In memory of Oliver and for all you dads and sons and daughters out there - here is a track from his 2008 record 'Freedom Row' entitled 'All the Little Children in the World'. Enjoy! The support of family is allowing me to do a few special music projects and tomorrow I will head out to meet up with Songster O Leary as we prepare for a couple of shows over the weekend. Then after a week at the teaching highlight of the year - Celtic Week at the 'Swannanoa Gathering' - close by here in NC, I will head out with the band to Dublin Ohio for one of America's biggest Irish Festivals. Hup! I hope you are doing well reader, and keeping your chin up amidst the huge upheaval around the globe. Through what are dark days for so many of our fellow brothers and sisters, let's keep communicating and creating, especially through the arts and through music -languages that know no borders. Myself and my sh*t-kicker poet husband, A. J. Roach have been having lots of fun and lots of no-sleep with our wee darling Lochlann Oliver. Calling all SoCal-ers, Ready your Diaries! Nuala will be part of the teaching staff at Acadia Camp in Maine in June and at the Swannanoa Gathering NC in July. Registration has opened for these amazing weeks of music and community- the spaces fill up really quickly, so get in there and grab a spot if you are thinking about it! A gathering of Irish music players and fans to benefit the American Civil Liberties Union and show support for civil rights will take place on Sunday 5th March. . The Los Angeles session will be at Timmy Nolan's Bar, Toluca Lake. Proceeds will go to the ACLU, whose Director of Immigration Rights wrote this week that “The Trump Administration is willing to trample on due process, human decency, the well being of our communities and even protections for vulnerable children.” These sessions are happening in cities and towns across the U. S. Check out the link on the poster to find the event nearest you, or start your own! What dark changes are happening in the world. In a time of great upheaval and sadness at the result of the Brexit vote, and the recent outbursts of xenophobic and homophobic hatred, I am put in mind of the quote above from American musician Leonard Bernstein written in response to the murder of J.F.K. To follow our passion more devotedly than ever before.... There is great solace in music and the arts, great comfort in creating things of beauty, comfort in the time we spend working creatively both together and alone. It is a place to seek refuge when the world can be overwhelming, a place where we can respond and reply with grace to questions which are often beyond our individual control. Particularly with traditional music, what a joy to have this rich heritage to dig into, to seek out old pieces, to contribute new ones.... to pass on our interpretation of and love of the tradition to our friends and students. For me it's a Summer filled with quite a few music camps: Acadia Trad School, ME, The Swannanoa Gathering, Music Arts and Dance week in D.C. and Augusta Heritage Week in West Virginia. Nuala's new recording 'Behave the Bravest' is out now! Order your copy here!! Nuala appears on 'Beg and Borrow' the latest Battlefield Band recording, highlighting the connection between Ireland and Scotland, which is available here: www.templerecords.co.uk/beg The record features a host of special guests including Christine Primrose, Leo McCann, Don Meade and Tony Demarco!